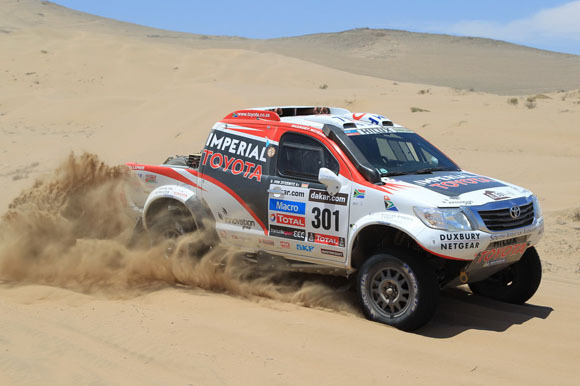 The Toyota Hilux crewed by Giniel de Villiers and Dirk von Zitzewitz has claimed second place in the world’s toughest off-road motorsport event, the Dakar Rally, after two weeks and 8000km of gruelling competition through the deserts of Peru, Argentina and Chile. After finishing third in 2012, and scoring the best Dakar Rally finish for a petrol-engined car in three years, South African de Villiers and his German co-driver von Zitzewitz went one better this time, crossing the Santiago finish line 42 minutes and 22 seconds behind the victorious X-Raid Mini of 11-time Dakar winner Stephane Peterhansel. 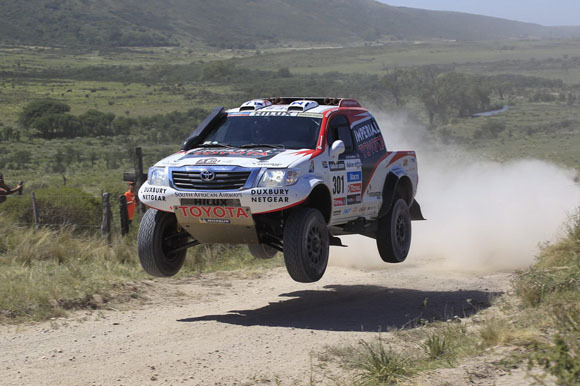 De Villiers, whose Hilux was prepared for the event by Team Hallspeed on behalf of Toyota South Africa, said: “Second place – that counts as a victory for us. Last year we exceeded our expectations by far, and would never in our wildest dreams have believed that on the 2013 Dakar we would better our third place from 2012. The competition this year was a lot stronger. There were numerous candidates for victory; we were the underdogs. 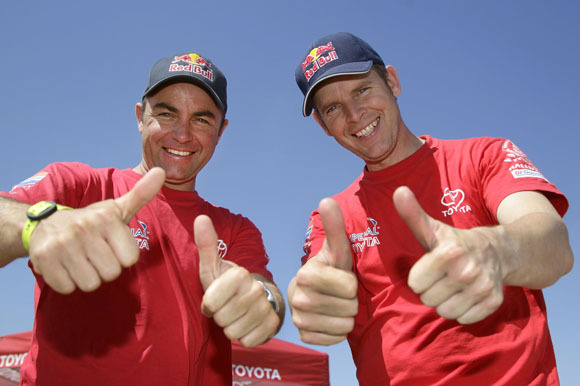 It was the duo’s remarkable consistency which earned the result: their Hilux, powered by a 5-litre production-based V8, finished in the top five on 11 of the 14 special stages. Only once did they slip outside the top 10; on stage three they took a wrong slot and lost 27 minutes to Peterhansel. 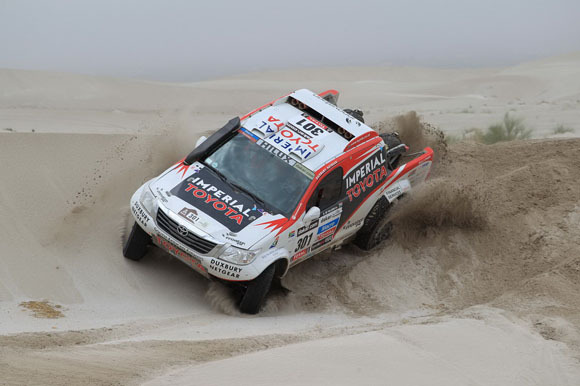 Five examples of the Toyota Hilux finished in the Dakar top 20. Argentinians Lucio Alvarez and Bernardo Graue were 10th, one place ahead of Australian Geoffrey Olholm and his co-driver Jonathan Aston, who was the best-placed British competitor. Polish Toyota crew Adam Malysz and Rafal Marton were 15th and Venezuelans Nunzio Coffaro and Daniel Meneses 20th in their Hilux.